Moray residents have been gazing skywards this week, as the area’s airspace has been taken over by international military aircraft performing stunning tactical displays. Jets from the Canadian, German, French and US air forces and the US Navy took up residence at RAF Lossiemouth on Monday for Nato’s Exercise Joint Warrior. As the massive international war games reach their half way point, the station commander at the Moray base has commended everyone involved – not least the local crews who keep the top guns in the air. 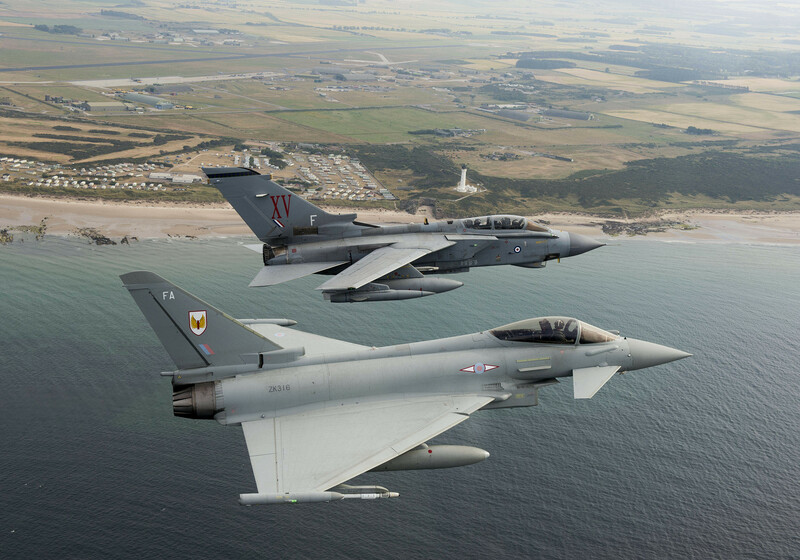 Group captain Mark Chappell said: “RAF Lossiemouth’s 75th anniversary year has been remarkable, and its fair to say we have been working at quite a pace for many months. “Exercise Joint Warrior is an additional challenge for us and it shows the flexibility and adaptability of the excellent workforce here at RAF Lossiemouth. An RAF spokesman yesterday said the weather had been very kind for the exercise, and that it was going well so far. This year, RAF Lossiemouth is hosting the P-8 Poseidon, P3 Orion and Atlantique as well as Pavehawk Search and Rescue helicopters. RAF Lossiemouth’s Typhoons are also taking part in the operation. Lossiemouth community council chairman Mike Mulholland said the town has enjoyed a timely boost during the operation. He said: “We’ve certainly noticed the intensity of the flying at some points, and people have been enjoying watching the different types and makes of aircraft. Across the UK, Exercise Joint Warrior features 55 warships and submarines, 70 aircraft and 13,000 service personnel from 18 countries. It will continue until Friday.